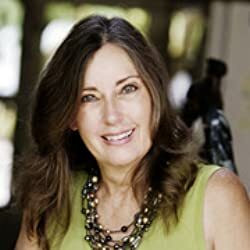 Denise Domning is the award-winning, best-selling author of one historical mystery novel–Season of the Raven–and eleven historical novels as well as the co-author with Monica Sarli of one gritty, hard-bitten memoir of addiction and recovery. Of the three genres she frankly prefers the rats, grime and fleas of the Twelfth Century over the ghettos and drug use of modern Kansas City. For Denise, writing means using words as her time machine and painting an accurate portrait of a past. Open any of her novels, whether Twelfth, Thirteenth, Sixteenth or Nineteenth Century, and step into a bygone era. As one reviewer put it “…you live the life and the language, smell the odors of unwashed humanity, and hear the sucking sounds as your flimsy shoes slog through mud and muck.” Now doesn’t that sound romantic? Denise and her husband Ed live on a farm in Cornville (yes, Cornville), Arizona, where they plant veggies, milk cows and have an Easter egg hunt every day.